After a six day lead up, UbiSoft announced that Assassin’s Creed: Syndicate will be officially bringing the franchise to London. Confirming many leaked reports, Assassin’s Creed: Syndicate will take place during 19th century Victorian era London and will be released on Xbox One, PlayStation 4 and Windows PC on October 23. 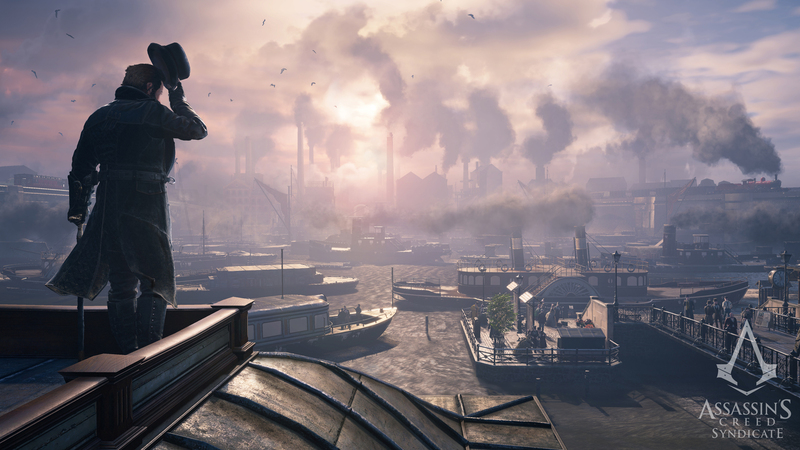 Assassin’s Creed: Syndicate seems to be walking the series back to what made some of the early entries special. Gone are the multiplayer co-operative modes that Unity touted and replaced by a focus on the story driven campaign. Building up protagonist Jacob Frye’s gang, The Rooks, seems to be playing a major role, a subsystem that had seen a decreasing role since AC: Revelations. I personally loved the building of the brotherhood up in Ezio’s story and its absence was missed, even in the stellar Black Flag. One of my favorite things to do in combat was to call on my recruits to take out enemies at a distance. Assassin’s Creed III had a little bit of this, but the characters had specific skillsets and there were only several specific instances where calling them was needed. Jacob will also be receiving a grappling hook, which really speeds up the vertical traversal and is very much a natural progression of how scaling buildings has evolved throughout the series. If Revalations added the hookblades and Black Flag added the rope dart, a grappling hook for climbing and combat is the right way to progress. Think Just Cause, but less explosions. Syndicate also promises a better stealth system and the return of the whistle, another franchise mainstay that was missing from Unity. Day and night cycles will also return, after their absence from Unity, fights can occur on moving carriages and the female adversaries are making their franchise debut. While I still hope that one day UbiSoft will bring back their competitive multiplayer, Syndicate appears to be well on its way to being something worthwhile. They chose a solid era, with some spectacular art design and visuals and have redacted much of what troubled Unity. I’m wondering what else they will cram into such a rich period beyond Charles Dickens and Charles Darwin…you have to assume that Jack the Ripper will make an appearance. UbiSoft announced that Assassin’s Creed Chronicles: China would be expanded upon by adding unique entries for India and Russia. The 2.5D sidescroller was originally announced as part of the DLC season pass for Assassin’s Creed: Unity focusing on China and Ezio Auditore’s apprentice, the female assassin Shao Jun. Fans of the franchise’s canon may recognize India and Russia as the backdrops for the Assassin’s Creed comics series in Assassin’s Creed: Brahmin (India) and Assassin’s Creed: The Fall / The Chain (Russia). 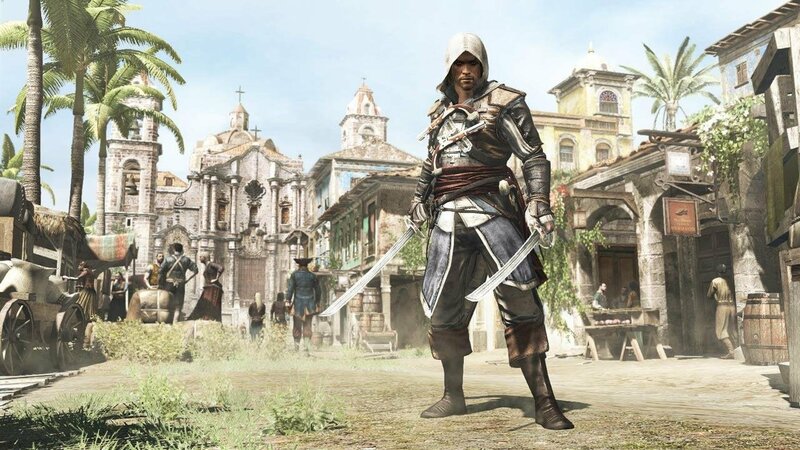 Each game will feature a region specific protagonist, sidescrolling gameplay where the player can hide in the environment and should build on the already vast canon of the Assassin’s Creed franchise. Assassin’s Creed Chronicles: China – Assassin’s Creed Chronicles: China takes place in China, 1526, as the Ming dynasty starts to crumble. You embody Shao Jun, the last remaining Assassin of the Chinese Brotherhood, returning to her homeland with a vendetta. 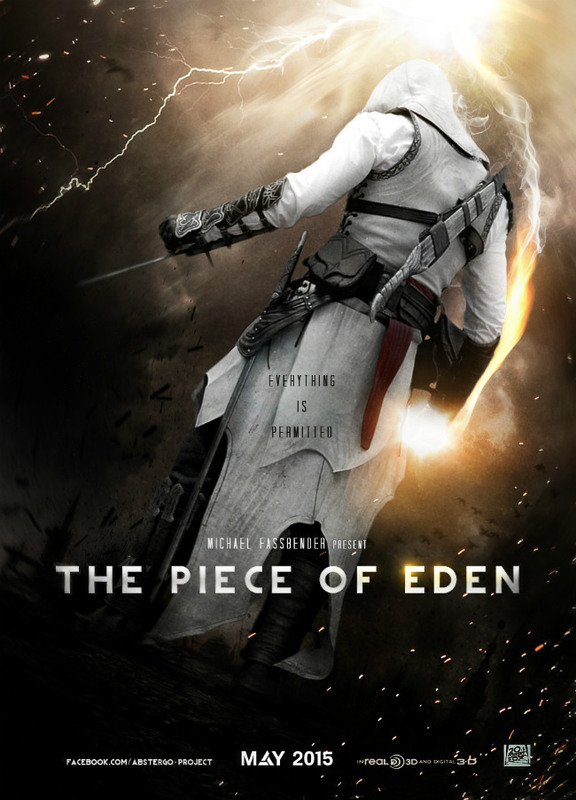 Newly trained by the legendary Ezio Auditore, she is hell-bent on exacting vengeance and restoring her fallen Brotherhood. Assassin’s Creed Chronicles: India – Assassin’s Creed Chronicles: India throws you into the tension between the Sikh Empire and the East India Company in 1841. When a Master Templar arrives with a mysterious item that used to belong to the Assassin Order, Arbaaz Mir must discover why he’s come, steal back the item, and protect his friends and his lover. Assassin’s Creed Chronicles: Russia – Assassin’s Creed Chronicles: Russia occurs in Russia, 1918. Nikolai Orelov wants to leave with his family, but is required to perform one last mission for the Assassin Order: infiltrate the house where the tsar’s family is being held by the Bolsheviks and steal an artifact that has been fought over by Assassins and Templars for centuries. Along the way, he witnesses the massacre of the tsar’s children, but manages to save the princess, Anastasia. He must escape the Templars while protecting the artifact and Anastasia. Some fans have joked that ACC: China was the only reason to become invested in AC: Unity’s season pass as game breaking bugs plagued that game’s launch. I personally love the idea of UbiSoft expanding the franchise in other areas, especially experimenting with regions that might not be popular enough for mainline entries. At the very least, UbiSoft is showing some bravery for a franchise that has been accused of being too much of the same for too long. 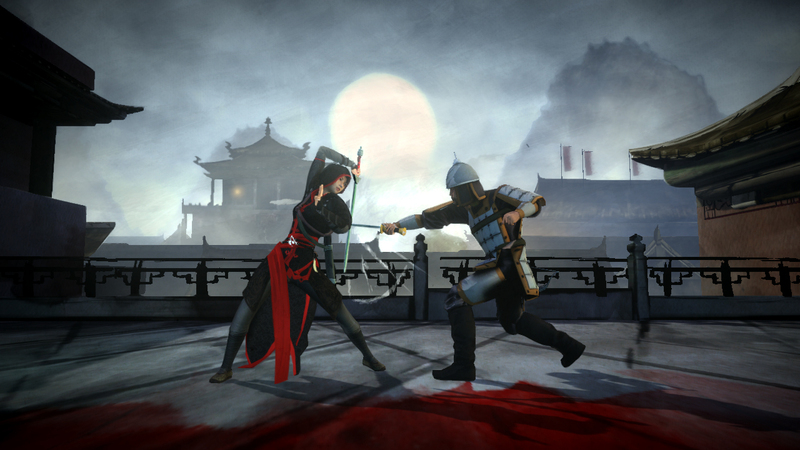 Assassin’s Creed Chronicles: China launches on April 21 on the Xbox One, PlayStation 4 and Windows PC for $9.99 or free for owners of the AC: Unity season pass. 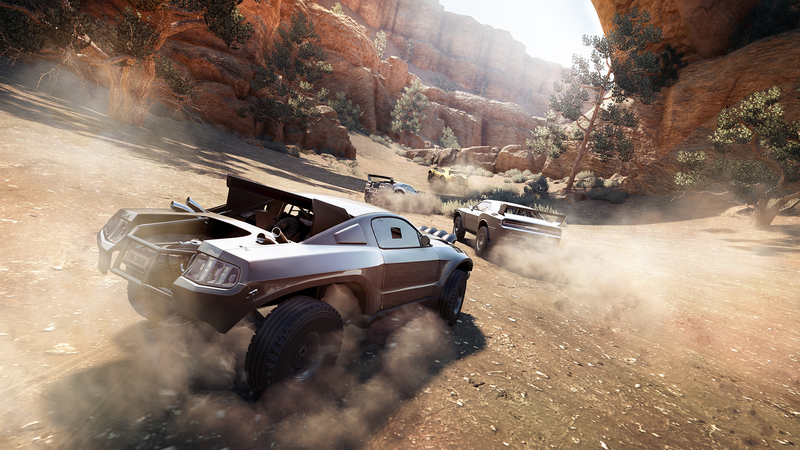 Ubisoft is asking for reviewers to express patience when it comes to their upcoming racing game The Crew. 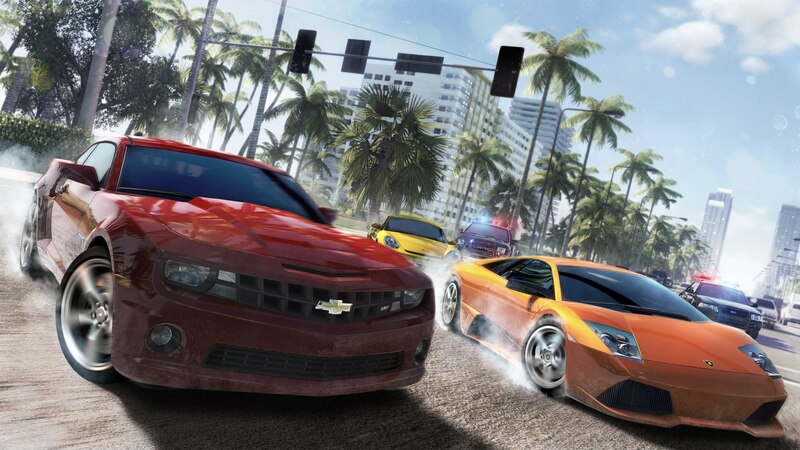 Highlighting the game’s strong emphasis on its online interactions and community building, reviews for The Crew don’t become released from embargo until the game’s release date on December 2. In fact, press copies of the game won’t be available until launch day, limiting the chance for launch reviews to hit. 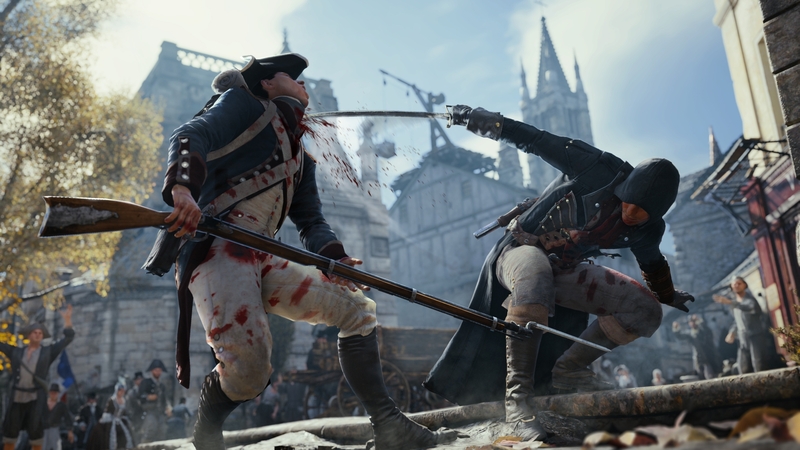 This move is coming mere weeks after Ubisoft’s rocky release of Assassin’s Creed Unity, a game that released to poor performance issues and bugs all while holding reviews under embargo until several hours after it was made available. 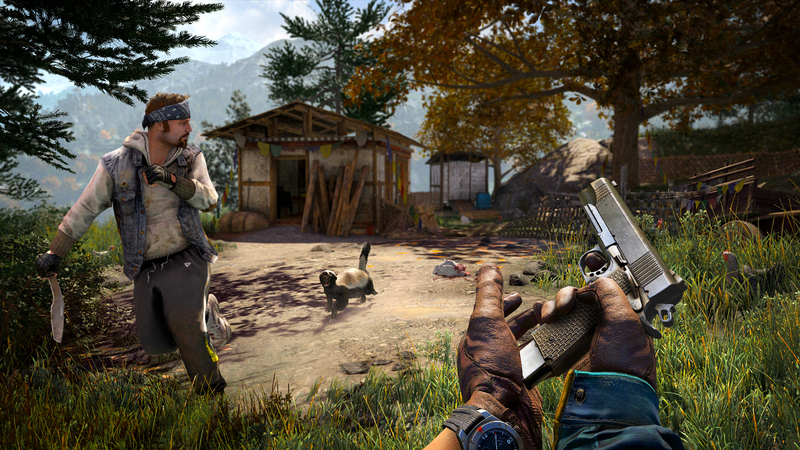 A Ubisoft representative claimed that the embargo was delayed to give reviews the chance to look at the game under optimal online conditions but many felt that the glaring flaws of the game had little to do with any online functionality. To make matters worse, the representative claimed that the features were vital, much like that in Bungie’s Destiny, a game that also felt criticism for their Activision’s decision to request that reviews be published after reviewers played all the online offerings, including their endgame content. Unfortunately for Ubisoft, at least Destiny had content at their endgame that differed slightly from their content leading up to it. Amid the turmoil around Unity, Ubisoft even declined to give publications access to Assassin’s Creed Rogue, the Xbox 360 / Playstation 3 only title. The game received mixed reviews and many reviewers pointed out the fact that the review copy was not provided nor did Ubisoft actively push for Rogue coverage. As far as The Crew is concerned, the move is another chalk mark in the shady category for Ubisoft. On the one hand a game like The Crew, that touts a strong focus towards online interactions, needs to be reviewed under conditions where communities can be formed and network performance can be evaluated. 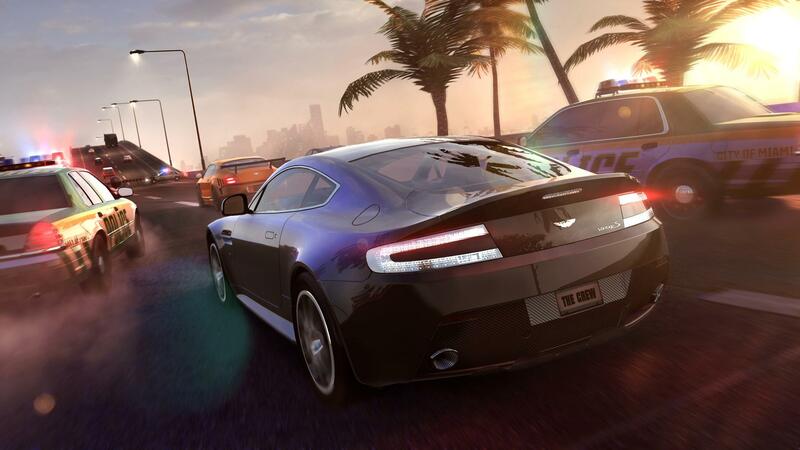 Ubisoft was likely paying attention to the dreadful release of Sony’s Driveclub and wanted to be given a fair shake. Unfortunately that logic doesn’t work. Microsoft released Forza Horizon 2 to a ton of praise two weeks ahead of the game’s launch. 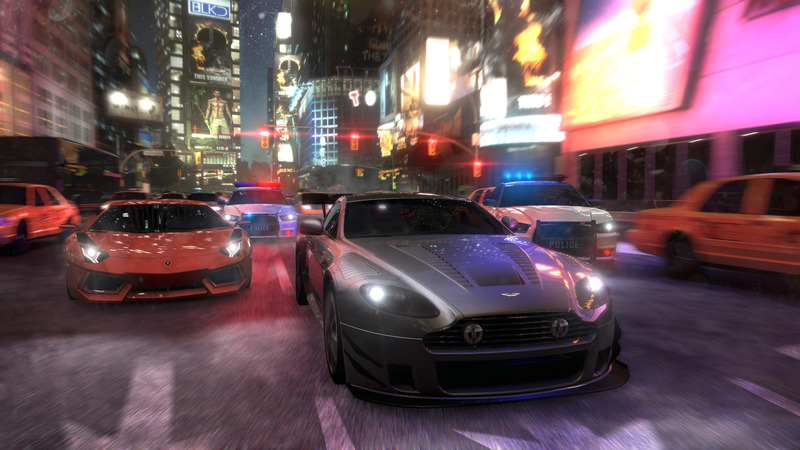 And when the game finally launched, the game didn’t even experience a shade of the trouble that Driveclub did. I truly do hope that The Crew turns out to be okay. I like silly racers with ludicrous upgrades. With the game’s promise to have a fully functional (miniaturized) version of the continental U.S., I hope The Crew fills a void that would echo back to days of Cruis’n USA or something along those lines. But c’mon Ubisoft. Build a product that works. And support it fully. 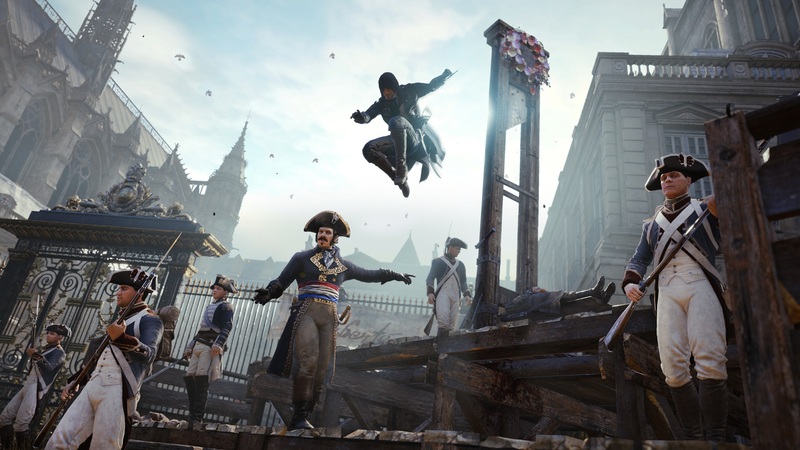 The launch of Ubisoft’s big tentpole title Assassin’s Creed Unity has been a bit of a roller coaster. 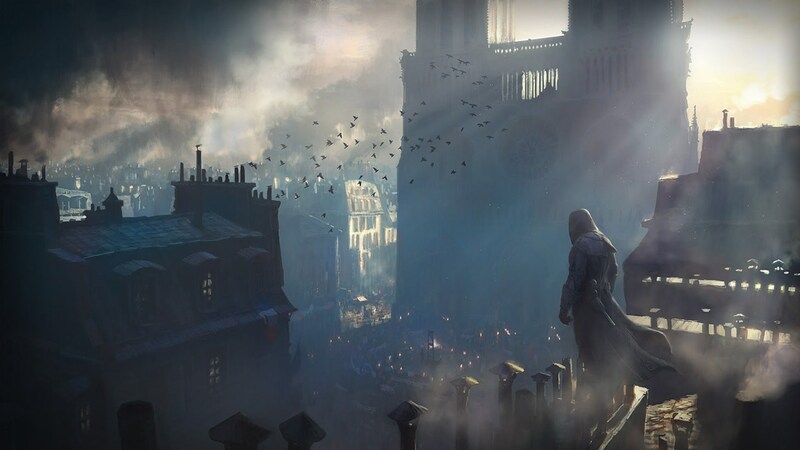 From astronomical expectations as the first true next generation evolution for the Assassin’s Creed franchise to the harsh reality of game-breaking bugs, poor performance and a publisher that refused to cooperate with retailers and media outlets, the lead-up to Assassin’s Creed Unity has been incredibly disappointing. Ubisoft responded to some of that feedback in an interview with BBC today where they claim that the ever-changing evolution of video games was the primary driver in why Assassin’s Creed Unity received such a late review embargo. Ubisoft had sent press copies of Assassin’s Creed Unity, but had place a media embargo on those reviews until noon November 11, the game’s release date. The move had been harshly criticized by several gaming media outlets as detrimental to both the media and consumer and served only to protect the initial sales rush for Ubisoft. But the biggest problem with this statement is that it cites the way that Activision and Bungie handled the reviews for Destiny. Yes, review embargoes for Destiny were held until the day of release and Activision referred to the need for online servers to go live and a complete experience be available to reviewers. This is a true statement that also applies to some of the features of Assassin’s Creed Unity. Unfortunately, not all of Unity’s problems are centered in the way it handles online interactions, many of the issues stem from terrible bugs in character models, breaking the game and falling beyond the boundaries of the environment and overall poor performance in inconsistent frame rate on a game already throttled to a lower resolution. As Ben Kuchera pointed out on Polygon, the decision to have such a late review embargo screams of a company trying to protect their product. A product that they have little confidence in. This statement absolutely infuriates me as there should be no reason that a game isn’t stable as it approaches its actual launch. If a game is certified gold, it should be complete, stable and ready to play. While this may be unreasonable to expect, that is how things played out in a game prior to online patching and last second reversals. Yes, online features absolutely need to be measured in real world conditions. Sim City and Battlefield 4 are recent examples of high reviews coming online before rough online launches. But as I recall, Destiny, while they also held reviews, requested that reviewers do their due diligence and at least play through most of the online content that Destiny offered before providing their opinion. A request that many outlets adhered to. Assassin’s Creed Unity is a disappointing, broken mess. The fact that Ubisoft is failing to recognize that is a blatant misstep. I’m all for standing behind your product, but the best thing they can do is focus on their mistakes and rectifying them. Assassin’s Creed: Unity is scheduled to launch next week Tuesday on November 11. Except for Steam. In fact, several of Ubisoft’s big marquee titles for this Fall season are suddenly absent from Steam’s storefront. Not only is Unity missing, but Far Cry 4 and The Crew are also missing in action from Valve’s digital distribution service. The games originally disappeared from Steam’s United Kingdom page but have since been removed from every Steam market globally. Searching the database yields no results for the upcoming games, no way to pre-order any of the games and there is no word on whether existing pre-orders will still be honored. The disappearance is curious, as Steam was very active in the pre-order marketing push for all three of the titles, citing exclusive items and even access to a beta for The Crew. Both companies are currently quiet about the issue, if in fact, the issue has to deal with the two firms ironing out a a distribution deal. The most information came from a brief response from Ubisoft claiming they are in discussions with Valve regarding Assassin’s Creed: Unity. This isn’t the first time that Valve has had disagreements with a major publisher, with several snafus with Electronic Arts (ultimately pointing EA to create the Origin service) and a very slow release cycle for Assassin’s Creed III and Far Cry 3 from Ubisoft back in 2012. Not having any of Ubisoft’s major titles available would be bad for both Ubisoft and Valve so it behooves both companies to come to an agreement quickly. Given Ubisoft’s strong fanbase and Valve’s position as the top PC digital distribution platform, I would be surprised if Assassin’s Creed: Unity misses its launch next week. Devin Graham is at it again. Better known by his YouTube persona DevinSuperTramp, the once amateur short film-maker who gained notoriety for stunt inspired videos, has gone on to shoot promotional videos with Ford, Seadoo and of course, UbiSoft. His original Assassins’s Creed Parkour video went on to over 37 million views (and counting!) and helped create a partnership with UbiSoft to create videos to promote Assassin’s Creed III, Assassin’s Creed IV: Black Flag and this summer’s Watch Dogs. So it was inevitable that UbiSoft would tap Graham again for Assassin’s Creed Unity. 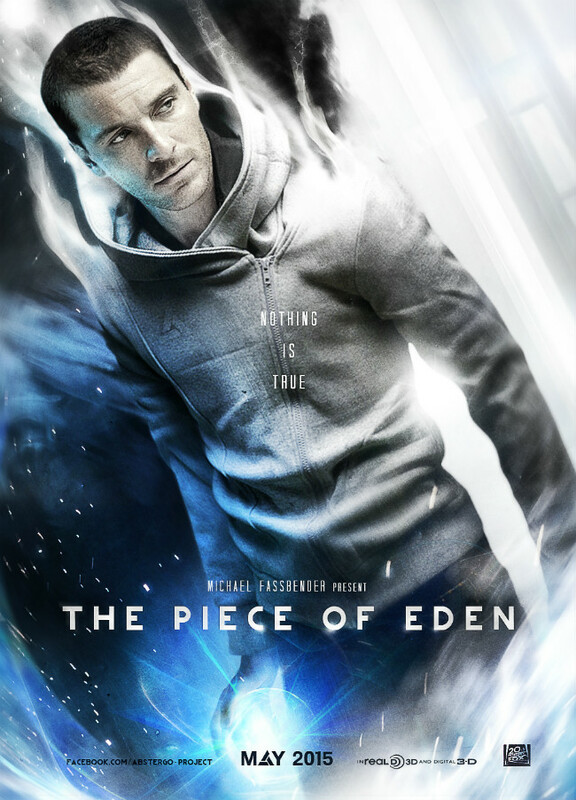 Despite Ubisoft insisting that they will remain hands on with the upcoming Assassin’s Creed film, stumbling pre-production has pushed the release date back to August 7, 2015. Ubisoft has insisted that the adaptation is going ahead as planned and the company is fast-tracking the project to star the outstanding Michael Fassbender (Prometheus, X-Men: First Class) with a script penned by Academy Award nominated writer Scott Frank (1999, Out of Sight). The film was originally rumored to have a May 22 release date which was eventually pushed back to June 19, so a second delay to a late summer release isn’t a good sign for the film. Even if the film does debut in early August, that is typically the last trickle of summer blockbuster movies so perhaps studio heads are hesitant to throw piles of cash at another video game adaptation. The late August release would poise it at an important season for its demographic and brand recognition, but is usually much slower than the gauntlet of releases between May and July. I’m still hopeful for the project, especially with Ubisoft’s insistence on remaining hands on with the project to ensure it stays faithful and resonates within the Assassin’s Creed universe. They did, after all, have to deal with the fallout of Disney’s spin on The Prince of Persia. Not to mention they hope the film will pair well with whatever new annual Assassin’s Creed game they cook up for the fall.